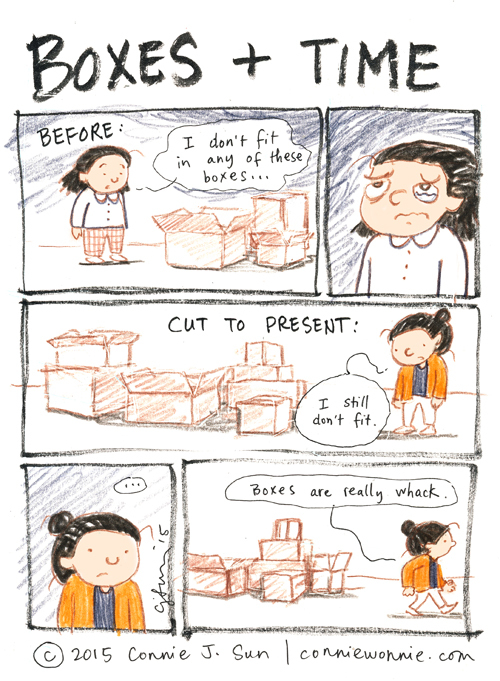 Of course you don't fit the boxes, Connie. And that's a good thing. You'll never have to learn to think outside it, or feel boxed in.